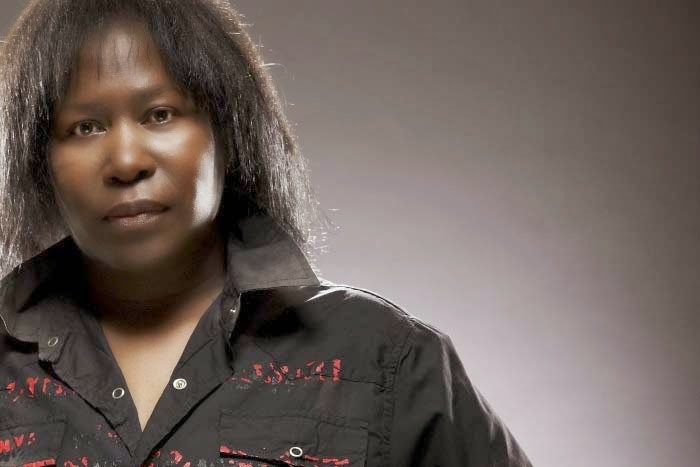 “Writing is my absolute favorite thing to do,” Joan Armatrading says in no uncertain terms. “That’s the thing that I love.” It’s of little wonder, too, especially considering the breadth and diversities of her canon. For nearly forty years, the British singer, songwriter, and multi-instrumentalist has produced an eclectic string of hits — among them “Love And Affection,” “Willow,” “Drop The Pilot,” “Show Some Emotion,” “Kissin’ And A Huggin’” — forging a singular career that is as influential as it is renowned. However, not even her most prestigious accolades — three Grammy® nominations (including a nomination for Best Blues Album, the first by a British female artist), the distinction of being the first British female artist to top the Billboard Blues charts (which she did for twelve consecutive weeks), and an MBE bestowed by Her Majesty Queen Elizabeth II — reflect the practical dimensions of her craft. “A lot of the solos, for instance, I’ve literally only played them the once,” Armatrading says of her knack for nailing guitar parts on the first take. “Literally, the once. That’s it. Done.” Such was the case in recording “Heading Back To New York City” and “Best Dress On,” two of the standout, hard-driving tracks on her latest, decidedly rock-edged album, This Charming Life. “It’s just what I feel like doing,” she says, explaining why she wrote This Charming Life within what she terms a “rock/pop” style, instead of exploring a range of genres as she has done in the past. “I’ve got to keep myself interested in what I’m doing.” No doubt her decision to perform just about every musical note on the album on her own kept her interested as well. For the past several years you’ve taken to playing all instruments except drums on your albums. What does that bring to your music? It’s actually something I’ve always done in terms of my demos. I’ve always played all the instruments myself on my demos. And when the musicians are here, they’re usually hearing the song with parts on it. So it was really just a matter of me deciding when did I do a record on my own like that? And I decided that I would do [2003’s] Lovers Speak like that. Having spent since 1972 to 2003 working with musicians, I think it’s all right for me to just indulge myself a bit and do it myself. It doesn’t mean I’m going to do it like that forever, but at the moment I’m really enjoying just doing it like that. Do you discern a difference in how the music sounds? Well of course it would sound different. If I said to one keyboard player, “Here’s a part. I want you to play it exactly like that.” And I said to another keyboard player, “Here’s a part. I want you to play it exactly like that.” Even though it’d be the same part — they would be playing exactly the same thing — they will sound different because they are two different people. That’s kind of how it works. If you said to ten keyboard players, “Go play me a C chord,” you’d get ten different-sounding C chords because they’re ten different people. That’s just the nature of that. And putting them all together. Yeah. To me that’s the whole fun of writing. It’s the song, the whole song. So if I’m working with a producer or musicians, it’s not the producer or musicians who would dictate how my song goes. It would be me. How do you approach the craft? Do you tell yourself, “I’m going to write a song about such-and-such,” or does the song, for lack of a better phrase, find you? The song generally finds me. I have no idea how that happens, or why. I can’t tell you why somebody saying something or me seeing something or reading something, why that particular thing should spark up a song. I sometimes will take notes; I’ll write something down. I might not immediately go and write the song, but when the muse comes over me and says, “Okay, Joan, it’s time to write songs,” then it’ll either be from something that I’ve written before and want to write about and I’ve kept notes about. Or it could be about something that literally happened just that day or a couple of days ago. The process of writing, apart from saying I sit down at the piano or the guitar and it will sometimes be music first or words first or both together or from a riff… Apart from saying that I can’t really tell you how I get to writing a song. It’s a mystery to a lot of songwriters. It is a mystery. All I know is that when I write I like to have a beginning, middle and end to the song. I like it to have some kind of a flow and to have the words — if you took them out of context — make some kind of sense. It completely depends on the song. Some songs it really is as if you’re spinning something you know. It’s uncanny; some songs just flow out. Other songs take a little bit longer to write and work out. And some songs are just kind of in between. But they all dictate themselves. They’ve all got a life. There are songs you’d think, This would sound good on the piano, but you try to make it work on the piano and it just wouldn’t work. Then you try the guitar and instantly it’s a song. Or [it’s] the other way around. The songs kind of have a life of their own. I’ve heard people say this before, but certainly for me it’s true. They really do dictate how they want to go, what type of song, what tempo, the meaning of it, the expression of it. They seem to have their own thing that they want to do. And you just kind of have to follow them. When you perform your earlier works live on stage, do you find as the years have progressed that the songs take on different meanings or yield new insights to you? They do take on different things for all kinds of different reasons. They won’t stay exactly the same. “Love and Affection,” for instance, was 1976; it’s 2010. I was 26 then; I’m 59 now. If things were exactly the same, I’m afraid something would be not quite right just because I’m grown up. I’ve had many experiences, not just in terms of my life, but in terms of how I know people react to the song, what people expect from the song, their relationship with the song. All kinds of things come into play… How privileged am I that I can be still playing a song that I wrote in 1976 and people are reacting to in such a strong, strong, strong, positive way? How cool is that, that I’m able to sing that song and have that reaction? It’s fantastic! In the liner notes of This Charming Life, you write that you’ve had a life-long fascination with music. As somebody who creates that which you’re fascinated by, what then keeps you fascinated? Music. [Laughs] Music keeps me fascinated, because it’s an ever-changing thing. There are lots of different genres, lots of different emotions that you can get out of music. There are not that many chords, but what we can get out of not that many chords is quite remarkable. If you think about all these different kinds of songs, they’re really only coming out of a very small amount of notes. It amazes. And to try to work out what you can come up with that’s different and not similar to or the same as something else, just try to make that work, that’s quite an exciting challenge. As long as I’m fit and healthy and alive and alert, I’m definitely going to want to be writing. 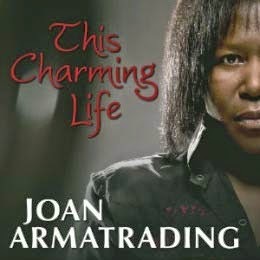 For more information on Joan Armatrading, including tour dates in support of This Charming Life, please visit the artist’s official website.